Although public cloud is a vital part of every enterprise digital transformation strategy, less than 20 per cent of workloads have moved to the public cloud, according to some estimates. Cloud Expo Europe took place in London earlier this month, and one of the discussion points was around why 80 per cent of mission-critical workloads and sensitive data are still running on-premises in private data centres. The answer is largely due to performance and regulatory requirements, or more generally, complexity. During a session by IBM & VMware, the speakers predicted that over the next decade more workloads will be transferred to public cloud servers, but that most business will continue to store a significant amount of data on premises. There are many challenges; Enterprises are struggling to modernise apps and workloads, navigate technological or vendor-lock-in silos, while being able to respond and react to changing business requirements. According to IBM, the right cloud model, built on open standards frees workloads to run on or off premises, and across multiple clouds. However, what this means in practice is that enterprises are operating not just a mix of public and private clouds but also multiple different public clouds. In terms of connectivity requirements this means the network mix has to shift in parallel, leaving IT and network managers with the challenge of accessing disparate assets across private data centres and multiple public cloud hosts. Paul Gampe, PCCW Global CTO, and formerly CTO of Console Connect, has spoken about this same situation at length, and says that it’s very challenging to shift everything to the cloud. “You can move new things to the cloud and move maybe a few old elements into cloud but not everything.” This is the key reason why a hybrid cloud strategy is important and why interconnection is a critical part of that. As lines of business come under increasing pressure to innovate, the cloud offers an efficient and cost-effective solution. Industry analyst Gartner describes the investment in cloud as ‘relentless’, and estimates that around 28 per cent of spending within key enterprise IT markets will shift to the cloud by 2022, up from 19 per cent in 2018. But this shift is not necessarily at the expense of on-premise infrastructure and applications - the trend in general is cautious and will occur over the course of many years due to the slow moving nature of traditional enterprise IT. “Once you see mission critical apps going to the cloud, it creates a demand on connectivity that we have not see previously. 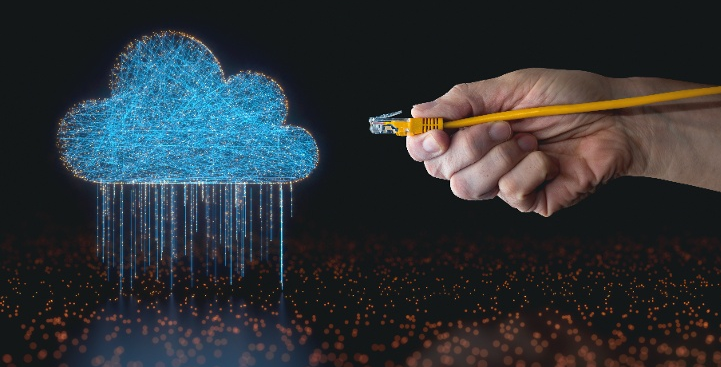 Most enterprises get access to cloud over public internet, but when it comes to mission critical apps, either due to the bandwidth or the security requirements you need to be directly connected. This means breaking out from traditional internet connectivity and establishing a private Layer 2 direct connection between your premise or multiple premises and a public cloud provider,” he adds.